December is HIV/AIDS awareness month and for Illinois healthcare organizations and professionals, it’s time to spread the word. Illinois’ HIV Care Connect, a multi-region medical service network for the HIV-positive population, recently launched a mobile, bilingual (English and Spanish) version of its website, keeping individuals up to date on the latest treatment information. The new program coincides with a launch of bilingual versions of the HIV Care Connect social media and search engine websites last August, including Twitter, Facebook and Google. HIV Care Connect hopes that the new mobile and online information options will reach the under 35 demographic, who, according to the Pew Internet and American Life project, are more likely to receive information on these devices than through other media. This under 35 demographic also happens to be the one who has the highest number of HIV cases. For the Latino community, contracting HIV/AIDS has become an epidemic. According to the Centers for Disease Control and Prevention (CDC), Hispanic/Latino men accounted for 87 % of new HIV infection diagnoses amongst the greater Latino population in 2010, and the approximate rate of new HIV infections amongst Latinos was three times as that of whites. Overall, Hispanics make up 20 percent of new infections in the U.S.
Health professionals face several prevention challenges when targeting individuals who test positive for HIV yet do not receive treatment. These factors can be behavioral such as being unaware of the sexual health of their partners, or socioeconomic, such as limited access to healthcare or language barriers. Cultural norms can also dictate the lack of treatment for Latinos, as the stigma of being labeled HIV positive can lead to discrimination from their communities. The HIV positive undocumented immigrants may also avoid diagnosis or treatment due to fear of revealing their immigrant status and potential deportation. Dr. Patricia Canessa, HIV Care Connect’s public health advocate, recognizes that transitioning their services through digital communications can help tackle the problems for untreated populations unaware of the grave damages of HIV in this decade. As health organizations prepare individuals for the implementation of the Affordable Care Act (ACA) on January 1, those currently undergoing treatment for HIV/AIDS must also adapt to the changes affected by the new healthcare coverage. Enacted in 1990, the Ryan White Care Act is a federal program that funds $2.1 billion in treatment for HIV positive individuals, as a “payer of last resort” option for those who do not have other coverage sources available to them. Administered by the HIV/AIDS Bureau, the grantees of the Ryan White Care Act must now align eligibility criteria with those of the ACA, according to the U.S. Department of Health and Human Services. As the Ryan White Care Act provides an essential coverage option for HIV-individuals in low-income communities, healthcare information services, like HIV Care Connect, will help those seeking treatment with the coverage changes. HIV Care Connect hopes that the expansion of its medical resource network to digital will reach a new segment of the HIV positive population. “The earlier the diagnosis, the earlier the treatment, the better it is for the individual,” Canessa said. 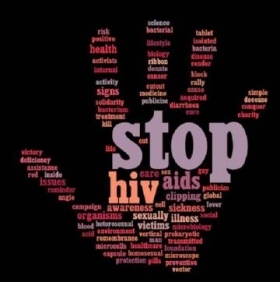 To access information on treatment, prevention and services, go to www.hivcareconnect.com.